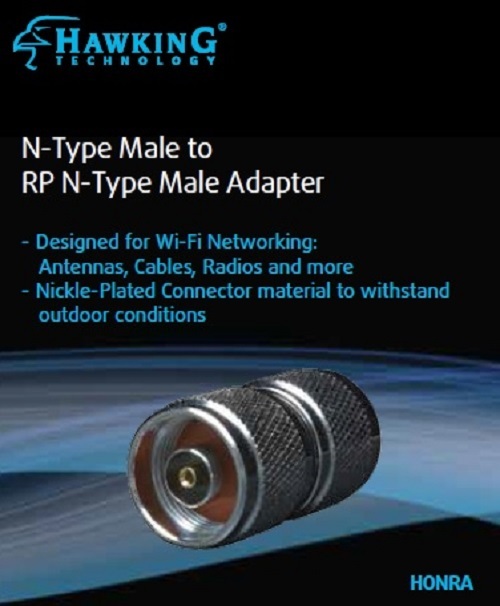 360° of High Power, Outdoor WIFI Coverage! 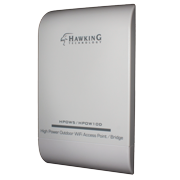 Hawking Technology’s HPOW5 puts multiple solutions into one weather proof outdoor unit. 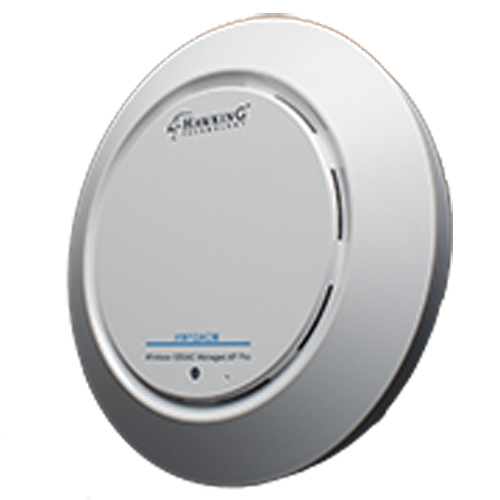 The High Power Outdoor WiFi Access Point / Bridge / Wireless Repeater functions as an Outdoor Wireless Access Point, Outdoor Universal Wireless Repeater, Outdoor Ethernet Bridge, Outdoor Smart Repeater (WISP) and more. 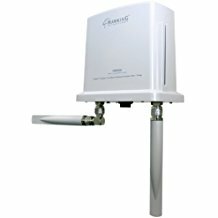 Additionally, two 5dBi Omni-Directional antennas are built into the unit to provide 360° network coverage. 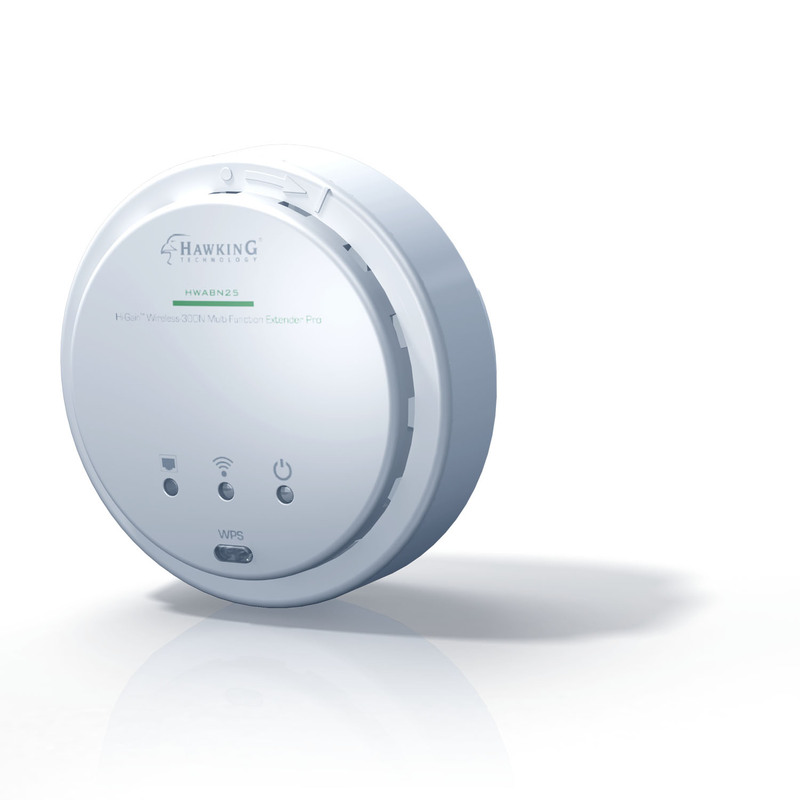 It features a PoE (Power over Ethernet) connection and includes wall and pole mounting kits for easy installation and setup. 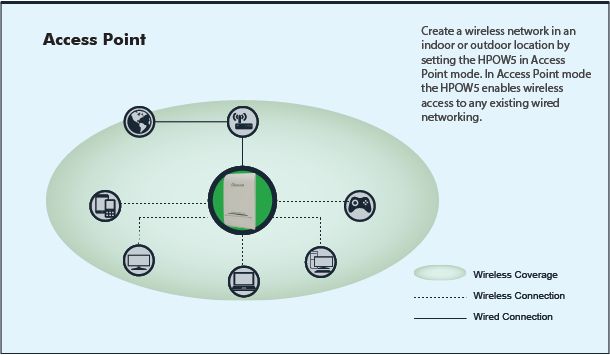 Enable any wired Ethernet-ready device or existing wired network to connect to your existing wired network using the HPOW5. 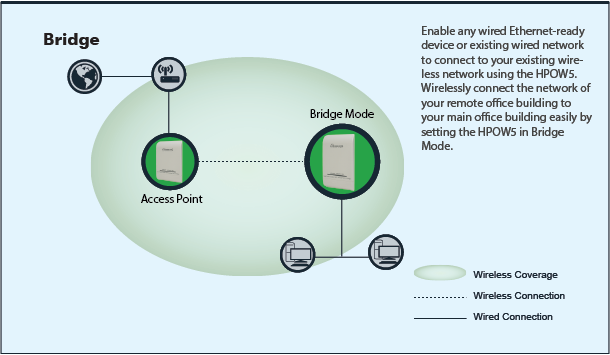 Wirelessly connect the network of your remote office building to your main building easily by setting the HPOW5 in Bridge Mode. 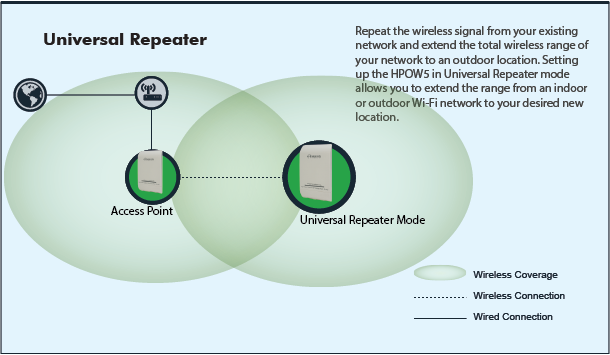 Repeat the wireless signal from your existing network and extend the total wireless range of your network to an outdoor location. 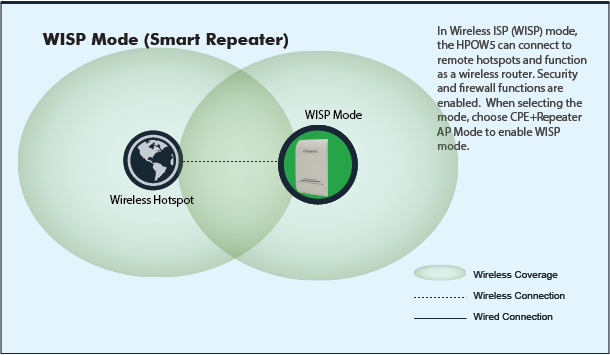 Setting up the HPOW5 in Wireless Repeater mode allows you to extend the range from an indoor or outdoor WiFi network to your desired new location. 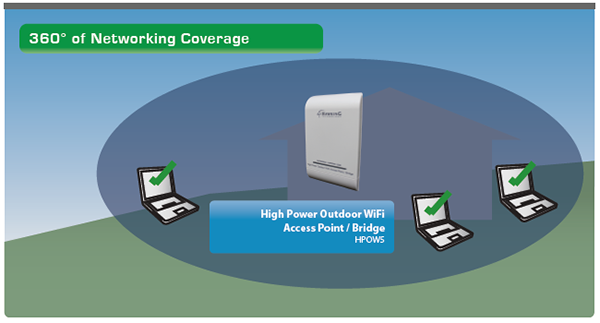 By combining your power and data connections into a single cable, PoE simplifies the setup of the High Power Outdoor WiFi Access Point/Bridge. 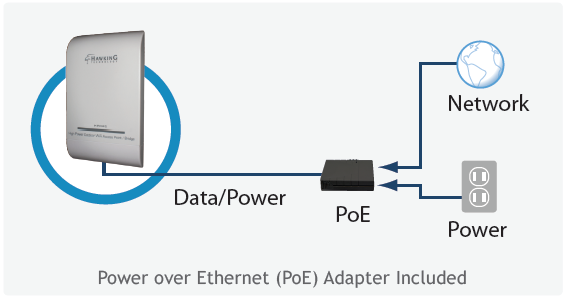 The included Power over Ethernet DC Injector provides power and network access (through your home or business router or network connection) and combines them into a single RJ-45 connection for the HPOW5. 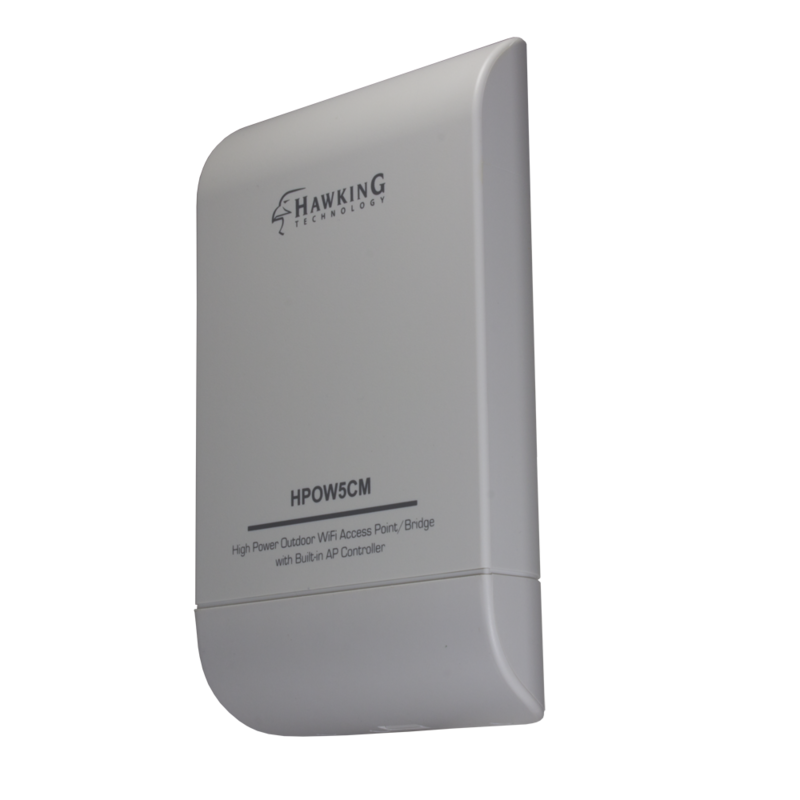 This allows you to install the HPOW5 outdoors in hard to reach locations without worrying about running both power and Ethernet cables. The HPOW5 is complete with both Pole and Mounting Hardware. 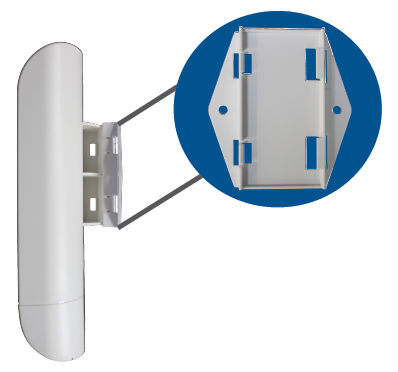 For Wall Mounting, locate the included bracket inside the packaging. Use the included hardware to mount the bracket to the wall. 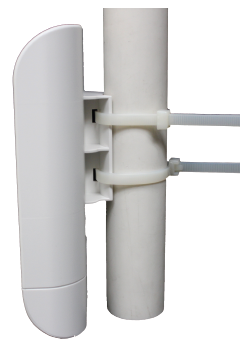 Once your bracket is secure, click the HPOW5 into place via the rear pole mount extension.